NCSC V-C visits injured at the GRH; warns erring officials of action. 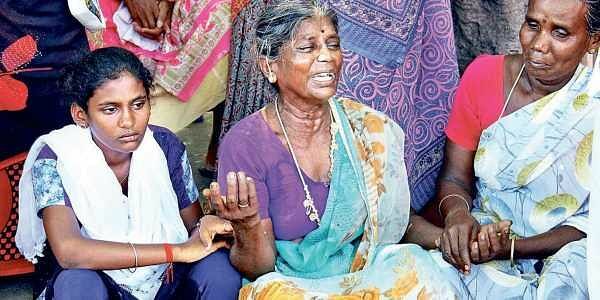 MADURAI: The death toll in the Kachanatham caste clash rose to three with the death of one more person at Government Rajaji Hospital (GRH) in Madurai on Thursday. The deceased was identified as V Chandrasekar (34), a driver, and is one of the six persons undergoing treatment at the GRH. 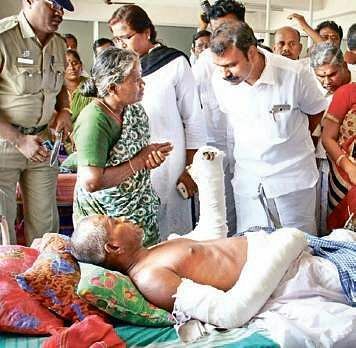 Vice Chairman of National Commission for Scheduled Castes (NCSC) L Murugan visited the injured on Thursday and said that the village would be declared ‘atrocity prone’. He was accompanied by Sivaganga Collector G Latha and Sivaganga SP T Jeyachandran. Addressing media persons, Murugan said that two sub inspectors, Selvam and Janakiraman of Palaiyanur police were suspended for inaction. “Strict departmental action will be taken against erring officials,” he warned. He also pointed out that the district administration was asked to book the arrested assailants under Goondas Act and that relief would be extended to the family of the deceased, in accordance to the provisions of the SC and ST (Prevention of Atrocities) Act, including a government job to one member in the family. Murugan stated that the NCSC would recommend the State government for increasing the solatium for the families of the deceased to `20 lakh. Meanwhile, the relatives of the deceased continued their sit-in protest near Collectorate and refused to receive the bodies of the deceased. The relatives demanded a CB-CID probe into the clash. Due to the protest, the vehicular movement en route Thevar statue towards Collectorate via Palanagal Road has been redirected.